Two years ago in Ulsan, South Korea, a special event that would positively impact accessibility to clean energy in Africa and beyond elicited excited cheers from leading stakeholders, environmentalists and energy experts. It signaled a new dawn and a huge boost for the cause of sustainable supply of Liquefied Petroleum Gas (LPG), especially in West Africa. It was an epoch making event that heralded the unveiling and christening of two new LPG vessels, with a combined capacity of 38,000 cubic meters, cbm. MT Africa Gas and MT Sahara Gas has since that historic day delivered 437,170 metric tons of LPG, making households, communities and nations cleaner and safer; boosting economic growth and development across markets. It had to be the product of collaboration – at its finest and most strategic level – a Joint Venture between the Nigerian National Petroleum Corporation (NNPC) and Sahara Group, a leading international energy and infrastructure conglomerate. The Joint Venture operates as the West Africa Gas Limited (WAGL) and is run by two companies, NNPC LNG Ltd, a wholly-owned subsidiary of NNPC and Sahara Energy’s Oil and Gas trading arm, Ocean Bed Trading Ltd (BVI). The JV is addressing LPG related transportation bottlenecks, availability and quality concerns, deepening the LPG market in West Africa and other markets and above all, enhancing access to clean and safe energy. 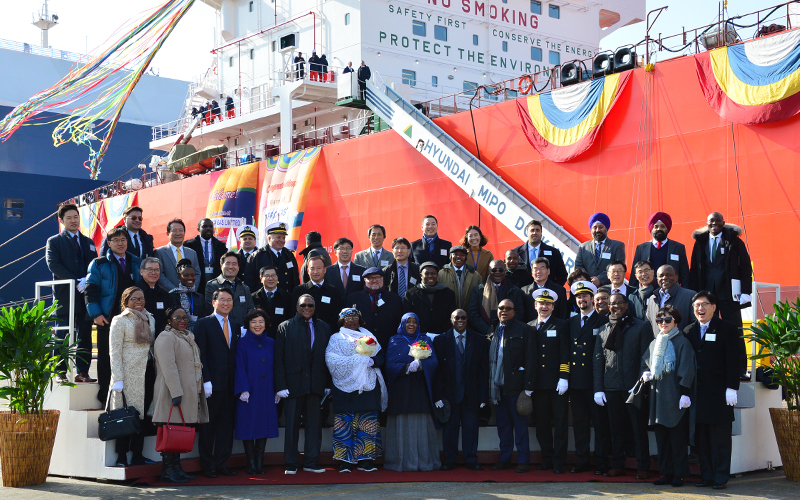 Speaking at the inauguration of the vessels in South Korea, NNPC’s Group Managing Director, Dr. Maikanti Baru described the acquisition of the vessels as “an outstanding achievement” for Nigeria considering the fact “that the Joint Venture between NNPC and Sahara Group is already recording success stories within a short period having been established in 2013.” The continuing success of the operations of these vessels lends credence to these comments. Sahara Group is delighted to play a pivotal role in the JV as it continues to provide leadership across the entire global energy sector value chain, with a distinction for safety, excellence, good corporate governance and outstanding corporate citizenship. The LPG/C Africa Gas and LPG/C Sahara Gas vessels have performed several Transatlantic voyages, delivering 437,170MT of butane in mainly West Africa, with spot calls in Europe and South America.